The first rains have already hit Mumbai. While this means many things to many people, to me it means only one thing. It signals the end of the "mango season"! And I just woke up to this unpalatable fact that I havent made a single post using raw mango as an ingredient this season. I couldnt let this blunder pass! Mangoes are still available and I had to write this before they completely disappear. Mavinkai Tambli belongs to the Havyaka cuisine, the food from my father's side of the family. "Tambli" is essentially a soup like liquid made with seasonal fresh vegetables or herbs. It can be drunk as it is or mixed with rice. "Mavinkai Tambli" brings strong childhood memories to the forefront. Summer holidays spent in my paternal granparents home, playful times and shared meals with cousins, uncles and aunts and Tambli prepared by my aunt Indira. The best "Mavinkai Tambli" for me would be from my paternal ancestral home in Siddapur, a tiny beautiful hamlet in Southern India. The flavour of the raw mango grown in the backyard there is unsurpassed. Added to this are the tiny chillies "sooj mensinkai", similar to the Thai bud chillies in appearance but totally different in flavour. It is hard to match the exquisite taste of these homegrown simple ingredients. I make Mavinkai Tambli often throughout the mango season. 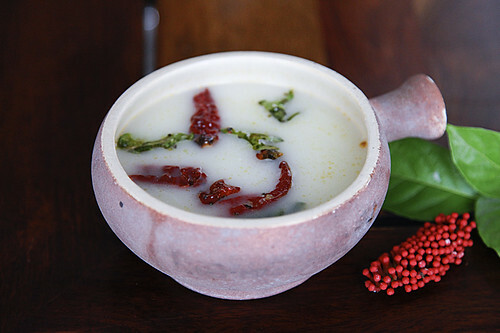 It is one of those dishes which calms and soothes my senses and makes the unbearable Indian summers worthwhile. It is so delicious that every sip is savoured and the flavours continue to haunt you hours after you have had it. According to Ayurveda, raw mango is supposed to be cooling to the body, so this is perfect for summer. The stigma attached to coconut as a cholestrol inducer is now being removed with recent research and the world is waking up to its benefits. To me, coconut is a very important ingredient. A base to many of my curries, chutneys and its oil, a big flavour booster to certain preparations which have traditionally been seasoned only with coconut oil. Here the raw mango and coconut perfectly complement each other and the coconut helps to enrich the taste and flavour of the raw mango while giving body to the dish. When mangoes are not in season, substitute it with lemons or lime for an equally interesting version. When raw mangoes are not in season, lemon or limes can be substituted. 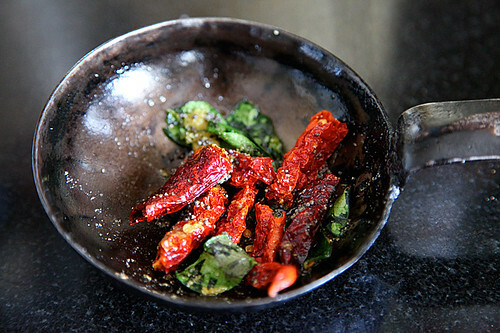 In a small wok or kadhai, heat the oil over a medium flame and roast the chillies until white spots appear on the surface of the chillies. Grind the green chillies, coconut and raw mango to a fine paste using a little water. Place the ground ingredients in a large bowl and mix in the water and salt. In a small wok or kadhai, heat the oil over a medium flame. Put in the mustard seeds and when they pop, add in the curry leaves, hing and dry red chillies, reduce the flame and cook for a few seconds until the chillies are crisp, switch off the flame and pour the hot seasoning into the prepared mango mixture. Serve with rice or as a drink. Oh, how delicious! I have got to try this.. thank you! Great to see a Havyaka recipe again! I used to wonder why I could never replicate the unique flavor of my mom's cooking here – now I've hit upon the crucial missing ingredient – seasoning fried in coconut oil! 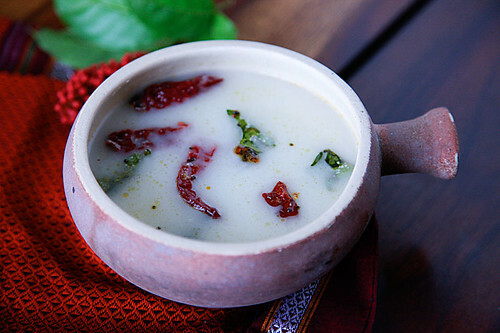 Btw, I loved the Sambhar powder your mom gave me – could you publish that recipe here? Allyson: You will be pleasantly surprised with the flavours, I assure you. 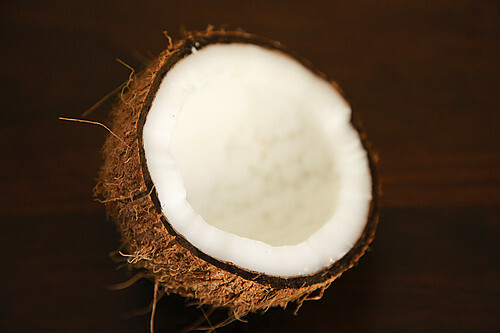 Sowmya: Yes, we can now enjoy the coconut without any guilt. Will check with my mother about the sambhar powder recipe and let you know. 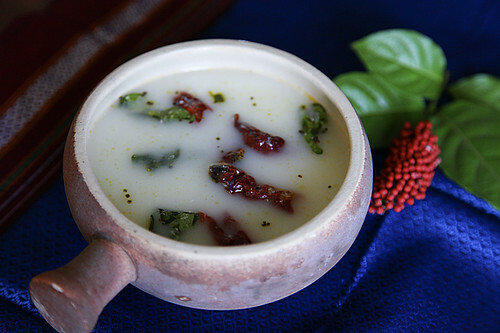 You can also make this Tambli out of preserved mango.We in Dakshina Kannada preserve fully grown mangoes in brine to be used off season.A type of cooked dish"Palya" too can be made from this-"neer maavina kai".The tangy taste of mango is beyond description along with Par boiled rice that is used in these parts of the country. K.G. Bhat: Yes, preserving raw mangoes in brine is an art in itself and one of the true culinary treasures that India has to offer to the world. And the delicacies that can be made from it are not only innumerable but also unique. So colorful and beautiful. It looks incredibly flavorful and delicious! I'm so making this. Its so hot here now that I need something like this. 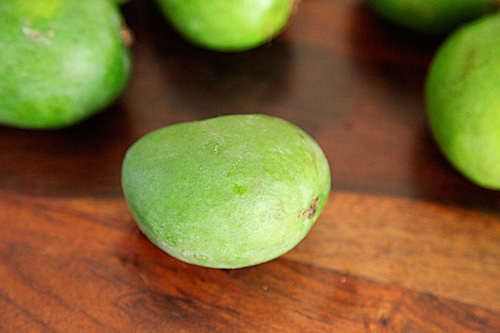 I recently tried this with ripe mangoes after looking at the recipe from another site. Now I will have to try this and see which tastes better ;). Do you let it cook after doing the tempering or have it cold ? Kiran: There is no cooking involved after you add the seasoning. Have it as it is and taste the magic of the raw mango. I have a question though, in the preparation of the seasoning you mention curry leaves, though they aren't mentioned in the ingredients list. Are there curry leaves needed in the seasoning, and if so how many? Steve: Curry leaves are important here. 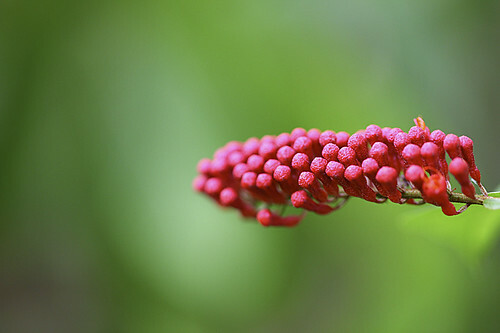 You can use a sprig of curry leaves which means about 8 to 10 leaves. Ashwini: Thanks for writing and expressing your thoughts here. Am happy you appreciate my efforts! All the very best to you! Hi Anu, I made this today.. It's really surprising that such simple ingredients can make such an exotic drink!! we truly enjoyed it.. thanks so much..
Ashwini: You are so right…and this is prefect for summer! I tried the tambli recipie and I absolutely loved it! Please share other tambli recipies and Dakshin Kannada specialities. I'm a big fan of hing and I love the colour of the hung you use in your videos, please share the brand or make of hing I would love to experiment.